Mika Lietzén (born in 1974) uses eloquent, simple linework to tell humane stories of life, relationships and everyday people with everyday hardships. The urban environment and carefully perceived details bring life to the world evoked in Lietzén’s work. 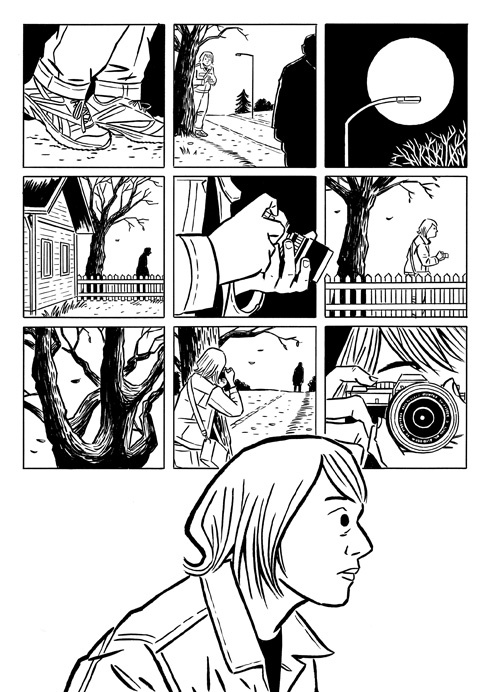 The graphic novel Elegia (2008) concentrates instead on the characters, as the book becomes a stage for performing a spoken play in the comics format. The full script is included. Lietzén has been awarded in the yearly Kemi international comics competition several times. He is one of the founders of Asema comics publishing house together with Ville Ranta.